The Webinar Wednesday series continues to deliver insightful knowledge to HTM and imaging service professionals around the world and most are eligible for1 CE credit from the ACI. In the webinar, Technical Prospects Technical Trainer and Support Specialist John DiPasquale discussed the growth of the industry. He also examined how the current technology relates to and is an outgrowth of older technologies. DiPasquale, a Certified Biomedical Equipment Technician (CBET) with more than 25 years of experience in the HTM industry, shared his insights with more than 200 HTM professionals. “Excellent webinar by Technical Prospects. It was a fresh point of view showing you can still troubleshoot using older methods and not rely on diagnostics and service keys to pinpoint your problem,” said K. Saager, MRI Service Engineer. “The presentation provided a very good, historical description of the imaging field and how it progress from the analog to the digital generation. His descriptions of the different types of problems and what things to check was excellent,” said T. Bracewell, Senior Biomed Instructor. “The imaging webinar was very informative for anyone in the medical profession dealing with radiology. John DiPasquale was very thorough and was able to answer highly technical questions with targeted precision. I was very impressed with the quality of this training. It was definitely worth taking time out of my day! Thank you so much and I look forward to attending more Webinar Wednesdays,” wrote E. Huynh, Biomed. The recent Webinar Wednesday session “Performing a PM on the Medtronic/Covidien FT10 Surgical” sponsored by Rigel Medical provided insights to HTM professionals around the world. Rigel Medical National Business Development Manager Jack Barrett and Biomedical Sales Engineer Rebecca Adkins co-presented. They performed a PM on a Medtronic/Covidian FT10 surgical generator and demonstrated testing techniques on this well-know energy platform. The presentation also included hyperlinked video clips to show actual testing. “Great webinar on the importance of thorough ESU testing and how to perform tests effectively. Provided a wealth of knowledge about testing procedures and ESU operation. I’m very glad to have attended to this webinar,” wrote Biomed D. Mishchuk. “A very informative and expansive explanation of the FT10 PM. The webinar provided detailed information on the operation of the ESU allowing a better understanding of why we test specific parameters,” Clinical Engineering Specialist Z. Foreman said. “I was able to follow along with the slides as well as using my own equipment to almost be getting a hands-on experience in the comfort of my own shop,” wrote Biomed K. Kramer. Also, the recent Webinar Wednesday session sponsored by RTI proved informative for HTM professionals. This 60-minute presentation featured Rob Morrison, senior applications and product specialist at RTI Inc. Morrison has over 30 years experience working with and for RTI in the development, sales and support of non-invasive test tools for non-invasive QA measurements of diagnostic imaging X-ray generator parameters. In the webinar, he discussed the challenges encountered, along with tips and solutions, for measuring on today’s dental X-ray imaging devices. Morrison’s presentation impressed attendees because of his knowledge and the use of videos to illustrate his points. “The presenter presented a lot of useful information. He was very knowledgable on the subject matter. I really enjoyed the video presentations which really nailed down how to use the testing products and to obtain data,” Biomed D. Parham said. “If you are NOT involved in Webinar Wednesday, you are missing out on a golden opportunity to gain knowledge and experience without having to go to the manufacturer’s training,” said M. Bryant, Electronics, Service & Testing owner. “Webinar Wednesday has become a staple of my Wednesday afternoons. With diverse presenters and intriguing topics, this series is a great way to learn something new, or add on to the things you already know,” shared H. Gonzalez, Biomed. 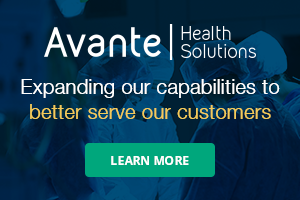 “Webinar Wednesdays get my standing ovation for presenting an avenue that the HTM field can easily grasp and use in spreading information of new technologies, services and how to improve our overall jobs in providing the very root of what started this industry, patient safety,” shared A. Rock, Biomed Manager. 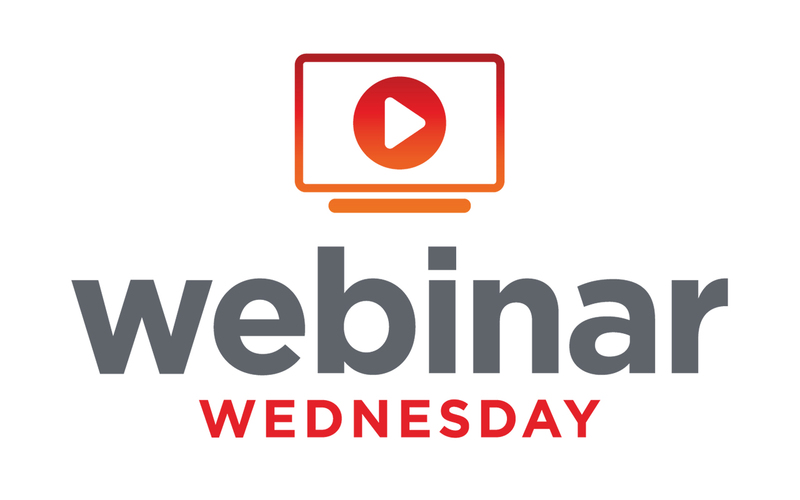 “Webinar Wednesday is a great way to keep up with what is new and relevant in the world of healthcare technology. I have yet to attend a webinar where I didn’t at least learn one new thing from the presentation. Webinar Wednesday keeps me in touch with the latest and greatest methods, technology, and information of today,” Biomed H. Gonzalez said.